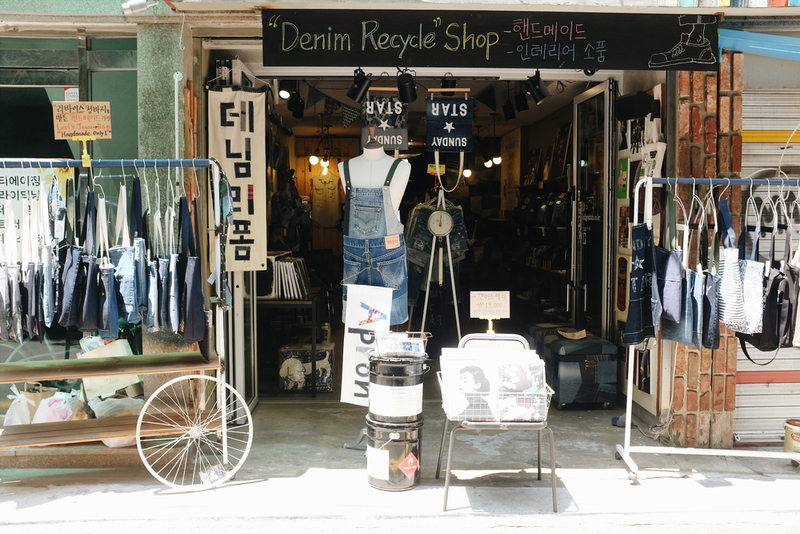 There are two ways to know the styles that run Seoul: observing what the fashionable people walking down the streets are wearing, or directing attention to the source and doing some window shopping. 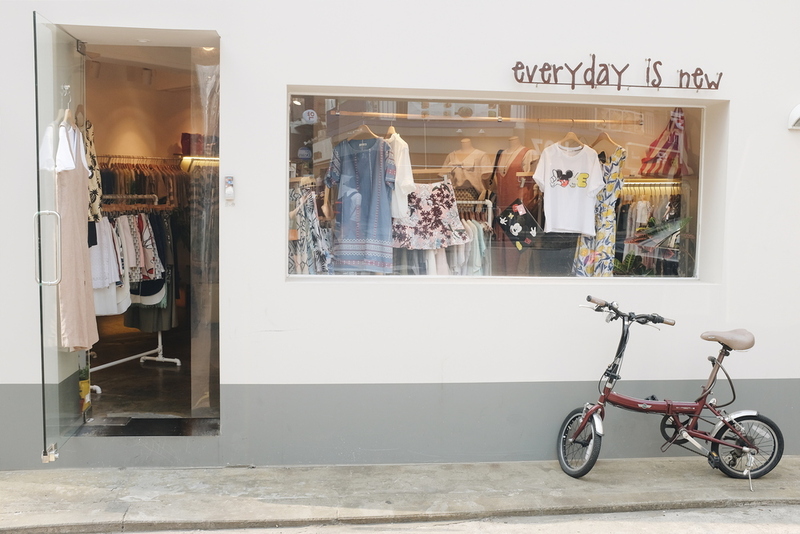 The Konglish term for window shopping is eye-shopping. I bring you the fruits of my latest eye-shopping endeavor directly from the streets of Hongdae! Hongdae is a neighborhood famous for the arts because of Hongik University’s famed Visual Communications department nearby. Although you’ll usually find people dressed in muted colors on the streets of Korea, in Hongdae we find very colorful attire. Being a college district, the prices in Hongdae are accessible compared to other notable Seoul neighborhoods such as Garosu-gil in Sinsa. The top items on display here are crop tops, high waisted skirts, all things denim, jumpers and one-piece dresses. The silver sandals are everywhere too! When eye-shopping, it’s hard to ignore the perfectly put together coordinates, with shoes, hats, and bags included. It can be very easy to buy the whole outfit without a second thought! 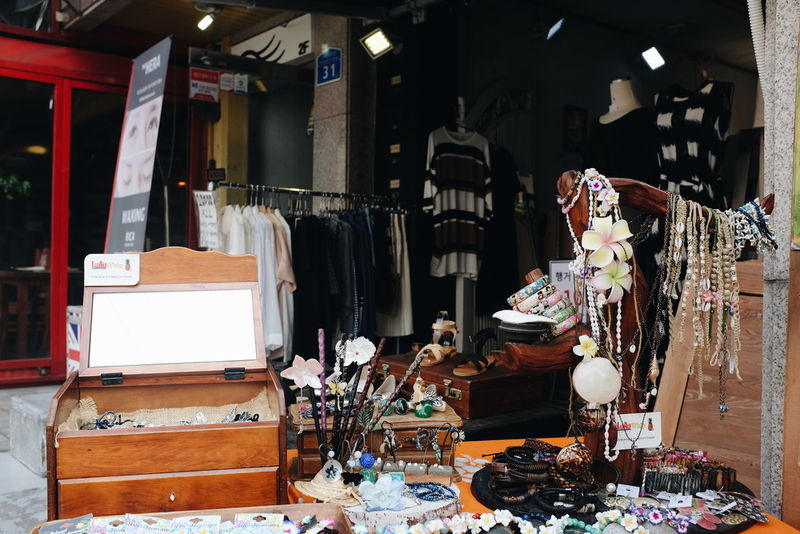 However, if you’re looking for something different, apart from the mainstream style, Hongdae has the perk of being home to many secondhand clothing and handmade accessories stores. There you’ll find unique pieces to give your outfit an original touch!